Welcome to the playoffs! It's one of the best weekends of the season. We've got four good football matchups this weekend. It was an incredible finish to the regular season, considering it went down to the final minute of the final game for Buffalo to be in and Baltimore to be out. Let's take a look at the action this weekend. Tennessee Titans @ Kansas City Chiefs (-8.5) - Typically, the Saturday afternoon game is the most boring game of the postseason and this game is no different. Tennessee could put up a fight, but chances are they don't. The Tennessee offense is lazy and slow, which makes no sense considering one of the fastest quarterbacks in the league, Marcus Mariota, on your team. The Titans ranked 23rd in yards per game at 314 yards. The Chiefs, however, ranked 5th at 375.4 yards. Arrowhead Stadium is also one of the loudest stadiums in the league and will only be louder on Saturday. I've got the Chiefs covering and defeating Tennessee 27-13. Atlanta Falcons @ Los Angeles Rams (-5.5) - I'm more excited for this game than any other this weekend. The Rams are the Falcons of the 2017-2018 season, going from the worst offense in 2016 to averaging 29.9 PPG in 2017. What Sean McVay has done with this team is nothing short of amazing. But, QBs making their first playoff start are 1-10 since 2013, which means the odds are against Jared Goff. The Falcons have yet to play up to their capabilities, but who knows if they ever will. Home-field advantage might not be a huge deal considering many Los Angeles is known for not caring about the Rams or the Chargers. I've got the Rams going pretty deep into the playoffs (maybe even the Super Bowl?) and winning 34-21. Buffalo Bills @ Jacksonville Jaguars (-9.0) - Who would've thought we'd see this matchup 3 years ago? After being one of the worst teams in the league for years, the Jaguars have an elite defense and are hosting a playoff game. And they're playing Buffalo! 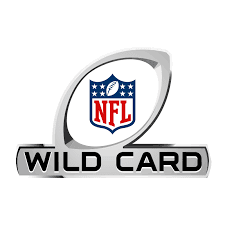 After suffering the longest playoff drought of any team in the NFL/MLB/NBA/NHL, the Bills are back in the playoffs. Both Jacksonville and Buffalo feature less-than-average offenses and elite defenses. However, Buffalo has a terrible run defense and the Jaguars defense will be too much for Tyrod Taylor and an injured LeSean McCoy. I've got Leonard Fournette leading Jacksonville to a 17-6 victory. Carolina Panthers @ New Orleans Saints (-6.5) - This is another really good game. The teams have met twice this year, with New Orleans winning both matchups. Of the past 20 teams that beat their opponent twice during the regular season, they are 13-7. But, Carolina's an interesting team. They started out terribly, but then the offense caught fire, but now their most recent game against Atlanta was extremely discouraging. The Saints are a popular team for the Super Bowl, but I don't really see it. However, I do have New Orleans covering the spread, 24-17.